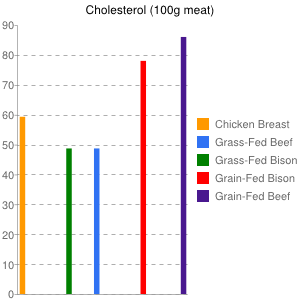 One frequently sees reports claiming that buffalo meat is a healthier meat than others. But in most cases it is not. 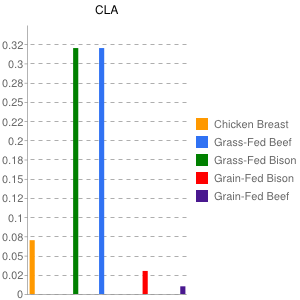 The nutritional characteristics of buffalo meat, like the meats from all other livestock species, is directly related to what the buffalo eat. 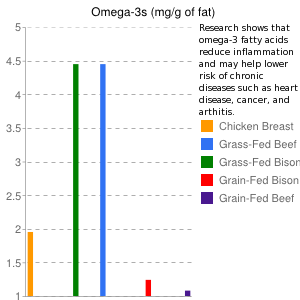 Grain-fed buffalo have the same horrible fatty acid imbalances and vitamin deficiencies as grain-fed cattle, grain-fed chicken, and so on. 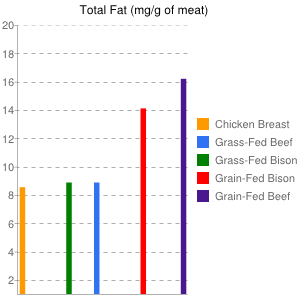 Consequently if one is focused on eating right for their long-term health, then they should only eat “grass-fed” buffalo when they dine on buffalo meats. 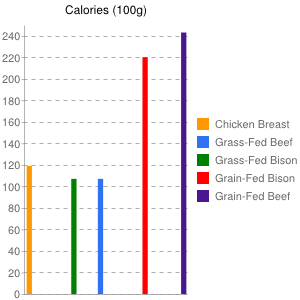 Most of the buffalo meat sold in America comes from GRAIN-FED bison. In fact, we had to look high and low for a buffalo producer who raises them with the same strict no-grain, no-foreign-foods-of-any-kind approach we demand. We’ve located a couple of them, but the supply is less than we’d like. 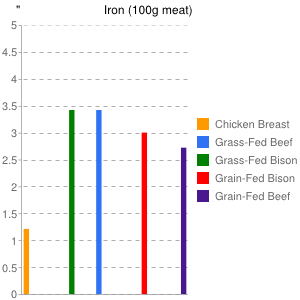 But keep in mind that when it comes to nutritional characteristics, grass-fed Bison/Buffalo has no advantages over grass-fed pork, grass-fed lamb, grass-fed goat, or grass-fed beef. So if you are interested in eating right, take a look at all of our grass-fed meats. Uniquely some of our buffalo meat comes from Water Buffalo! There are no distinguishable differences in either the nutrients or the flavor when it comes to grass-fed Bison and grass-fed Buffalo.